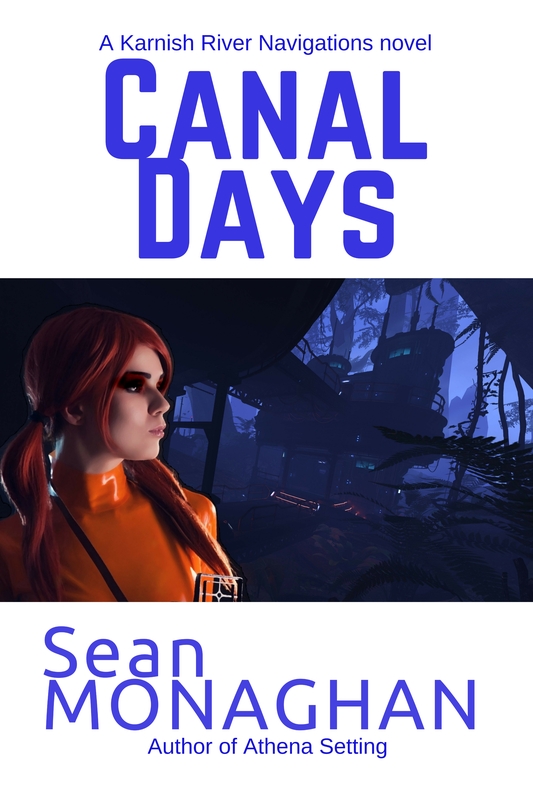 After muddling my way through my website, I’ve managed to finally complete a page dedicated to my Karnish River Navigations science fiction adventure series. The page is available here: Karnish River Navigations, or from the drop-down menu under Science Fiction at the top of the seanmonaghan.com website. I notice I still need to tinker with the page format a bit to get everything lining up. I’ll get there. The first three books are out already, and I hope to have the fourth, Guest House Izarra, out soon (it’s written, proofed and copy-edited, just needs formatting and uploading, and I need to finalise the cover). The story? Flis Kupe makes the mistake of burning out her embedded military arlchip. Discharged and returning home, she fights her way across the Karnth canal land to rescue her brother. Each book stands alone and the books can be read in any order. Arlchip Burnout is kind of the first, though Night Operations is probably my favorite. The series is fun to write, and I hope it’s as much fun to read. I plan to write more in the series next year. There’s tech I want to explore, and Flis and Grae are fun characters to hang out with. 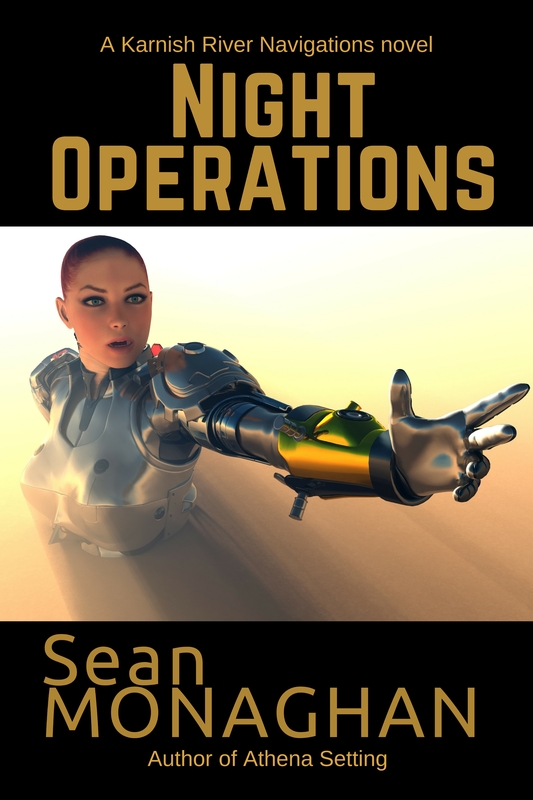 This entry was posted in fiction and tagged book series, ebook, karnish river navigations, novel, novels, print book, science fiction on 14 December, 2016 by Sean Monaghan. Somehow I’ve managed to maintain momentum with my target of writing a novel in June. As I mentioned earlier my novels seem to come in at around 60,000 words. 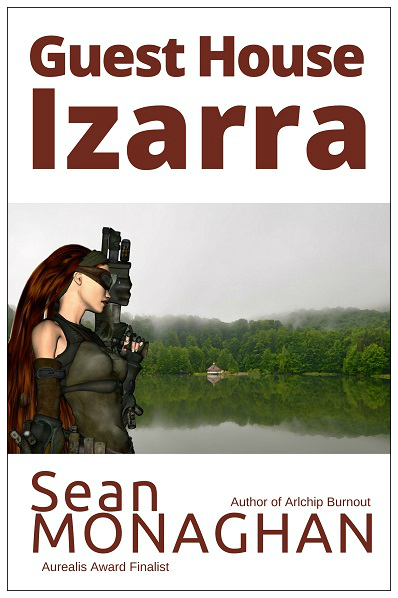 So far through June, with 15 of 30 writing days completed Guest House Izarra stands at 33,194 words. So I’m running about ten percent ahead. How’s the writing itself? Well, I’m happy with progress. Feel like I’m going in the right direction. Don’t feel like there’s much that will need to be cut. So far. We’ll see. I feel like I have a few thousand words ‘in the bank’, so to speak. With the last couple of days writing, cycling back through the previous days’ work, I wonder if this will be a shorter book anyway. Either that or much longer. It might have to continue to July if that’s where the story goes. I don’t want to arbitrarily force it shorter just to finish within the month. I’m glad to have a draft mock-up draft of the cover in place. Nice similar look to Arlchip Burnout. It still needs a tagline or something else at the top I think. I’ll have to track down art that’ll work for the other books too. With this one, the background is by Antaltiberiualexandru, and the figure by Algol. Kind of shows the book just about perfectly. Glitches? Well, I had hoped to get finished with formatting my earlier novel Athena Setting for release already. Somehow though, when I imported the original document into the formatting software I dropped out all the italics. And it wasn’t until I’d just about completed formatting-page breaks, chapter headings, bookmarks and so on-that I realized. So now I’m in the process of working through to put all the italics back in. Sheesh. Starting to think it might have been easier to re-import and do all that other formatting over again. Anyway, that’s slowing other aspects down. Still focusing on getting a couple of thousand words down every day. I’ll see how the rest of the month goes. 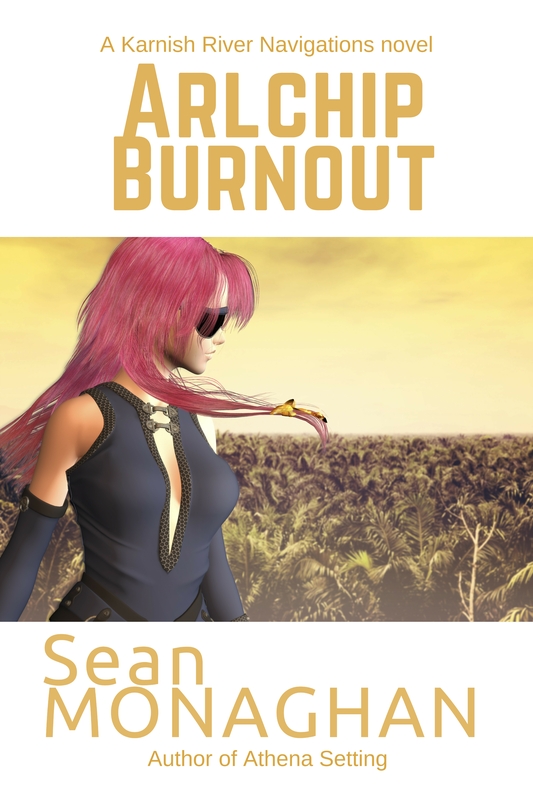 This entry was posted in fiction and tagged arlchip burnout, creative writing, guest house izarra, karnish river navigations, novel, science fiction, writing, writing a novel, writing goals, writing process on 16 June, 2016 by Sean Monaghan.